It used to be that the inline-six was the internal combustion engine layout jack-of-all-trades. You’d see big, long-stroke ones powering trucks of all shapes and sizes, small and high-strung ones propelling sports cars, and medium-sized ones contentedly chugging away under the hoods of family cars whose buyers couldn’t or wouldn’t step up for the V8 option. Alas, the layout is now pretty much extinct, having fallen out of fashion in favor of the more compact V6 configuration. But while they may take up more space in terms of length and height, straight-sixes do have some notable advantages over V6s, including needing one cylinder head rather than two and being better balanced. But in case that’s not enough to convince you, here are 10 of the most celebrated straight-sixes to ever tickle a transmission input shaft. When it debuted as a 1948 model, the Jaguar XK120 caused a sensation. But perhaps the bigger sensation was hidden under its hood: Jaguar’s equally new XK-series DOHC, aluminum-head-equipped inline-six engine. Initially displacing 3.4L, the company would go on to develop additional variants as small as 2.4L (featuring a block that was physically shorter in height due to the shortened stroke) and as large as 4.2L. Incredibly, the 12-valve XK would remain in production until 1992, when the last Daimler DS420 limousine rolled out of the Jaguar factory in Coventry. While most automakers have abandoned the inline-six layout at some point in their histories (virtually all never to return to it), BMW has stayed unwaveringly true to that configuration. And the ultimate evolution of the BMW I-6 (at least as far as naturally-aspirated ones are concerned) is, without a doubt, the S54. Unlike the S50B30 and S50B32 that preceded it, this 3.2L iron-block beast was available worldwide (including North America) in late-production Z3 M Roadsters and Coupes, the Z4 M Roadster and Coupe, and in the E46-based third-generation M3. 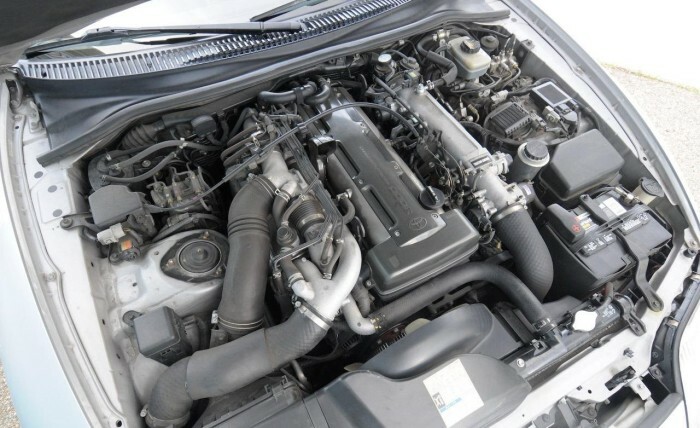 Such trick parts as individual throttlebodies for each cylinder and Double VANOS variable valve timing allowed the S54 to produce up to 333 horsepower in U.S. trim, a figure that BMW’s current turbocharged straight-sixes can easily match, but at the expense of borderline clairvoyant throttle response and a pants-bulge-producing metallic howl. Sad that we’ll likely never see the likes of the S54 again. When Nissan merged with the Prince Motor Company in 1966, it not only gained some new model lines like the Skyline and Gloria, but also a collection of massively talented engineers. It was these ex-Prince engineers who, shortly after the merger, led the development of the S20 engine, which was based heavily on the Prince GR-8 engine used in high performance versions of the Skyline and the 1965 Prince R380 sports prototype (which was subsequently re-branded the Nissan R380-II). 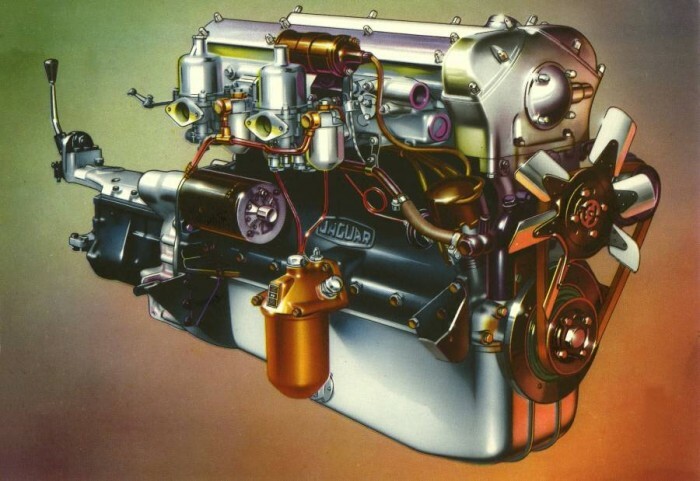 Like its forebear, the S20 was a 2.0L inline-six featuring double overhead camshafts, four valves per cylinder and a trio of Italian twin-throat Weber side-draft carburetors, which were replaced by a British Lucas mechanical fuel injection system come 1970. 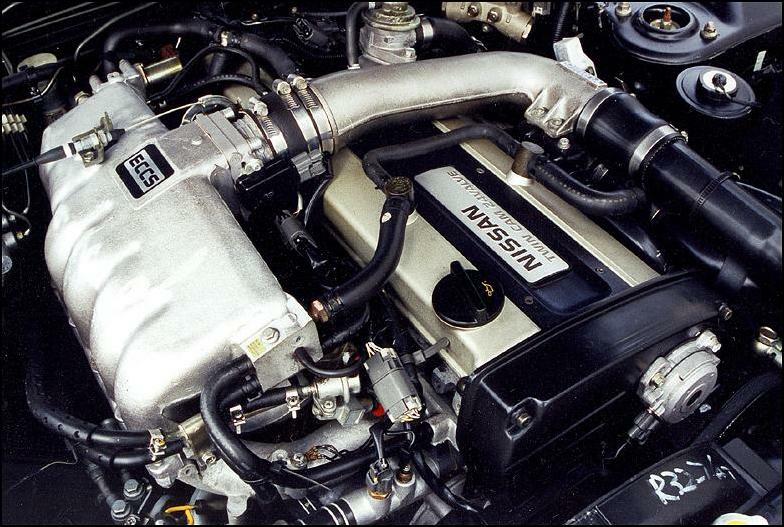 The S20 is best known for powering the first-generation Nissan Skyline GT-R (a.k.a. Hakosuka); however, the mere 197 second-gen KPGC110 (a.k.a. Kemmeri) Skyline GT-Rs built for the 1973 model year also featured S20 power, as did a special track-focused JDM-only variant of the first-gen Z Car, the Fairlady Z432 and the racecar it spawned, the Fairlady Z432R, of which just three(!) were made. But no matter what chassis Nissan installed it in, the S20 usually put a whoopin’ on its four-cylinder and rotary rivals, and made absolutely orgasmic music while doing so. Ford may be the company that democratized V8 power back in 1932, but the company’s various inline-six families have their own rabid followings. And the Blue Oval’s last remaining straight-six line – the so-called Barra family – has achieved the engine equivalent of folk hero status in its native Australia. Descended from the humble 144 cubic-inch (2.4L) pushrod six that powered the original Falcon of 1960, this 4.0L DOHC dynamo debuted in 2002 under the bonnet of the BA-series Falcon and Fairmont in both naturally-aspirated (244 horsepower) and turbocharged (322 horsepower) form, as well as a naturally-aspirated version that ran on LPG and made 209 horsepower. 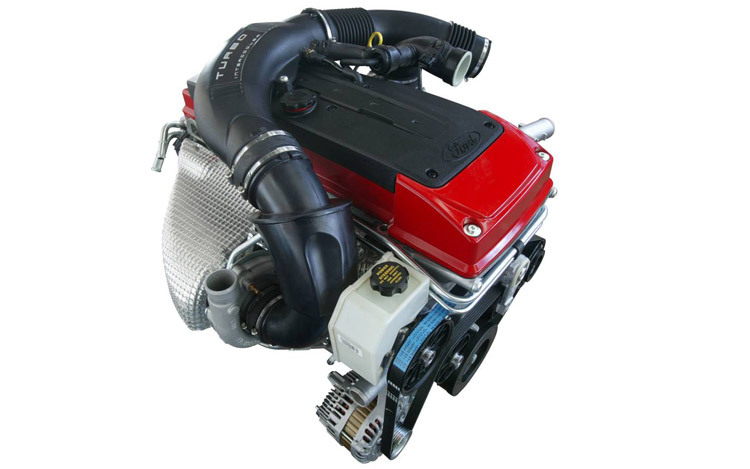 Various updates and refinements over the years have unlocked more power from all versions, with the most powerful stock turbo version (fitted to FG-chassis FPV models) being rated at 416 horsepower. Of course, tuners have been able to extract much, much more muscle out of these Antipodean powerhouses…enough to give V8 loyalists of both the Ford and Holden persuasions plenty of headaches. Alas, Barra buffs have their own headaches to deal with, as their conquering hero is destined to die along with the Falcon, the Falcon-based Territory crossover and all Aussie Ford manufacturing sometime within the next 15 months. The Mercedes-Benz M186 “Big Six” (produced from 1951 to ’67) powered a huge percentage of the company’s early postwar prestige models, beginning with one of our all-time faves, the W186 “Adenauer” family. But it was under the hood of the legendary W198 300SL (a.k.a. the Gullwing and the Roadster that followed) sports car that the big Benz Benzinmotor did its best work. But to before it could do that, engineers gave it a makeover so extreme that they wound up giving it its own name: M198. 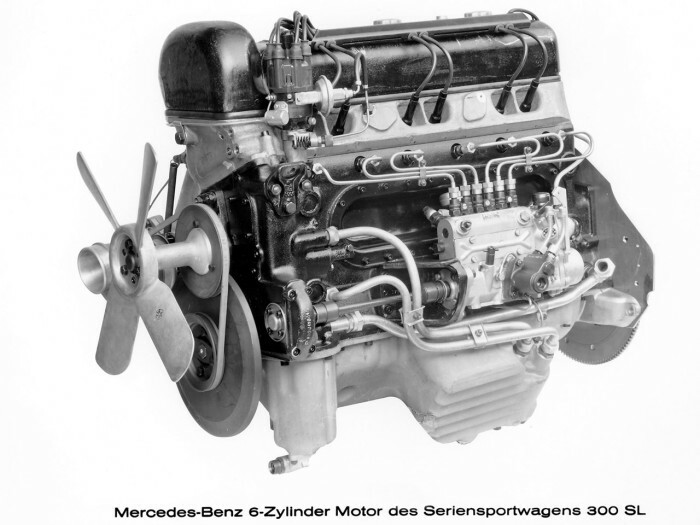 For starters, the 3.0L SOHC 12-valve M198 was tilted 45° to the left to fit under the 300SL’s super-low hoodline, but the extreme tilt also allowed the Mercedes-Benz engineers to design a new aluminum cylinder head that was also angled to the left, which made room for bigger intake and exhaust valves. 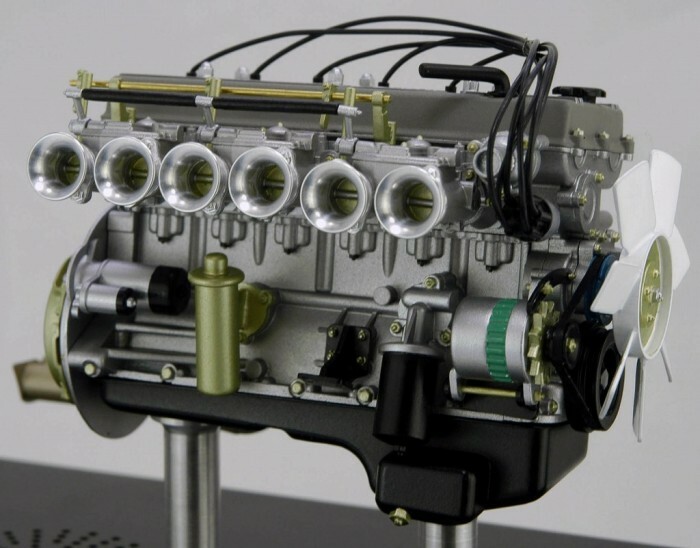 But the real source of the M198’s incredible-for-the-time specific output (212 horsepower – later bumped up to 222 – and 202 lb.-ft of torque) was a Bosch mechanical direct fuel injection system, the first application of DI in a production automobile. And keep in mind, the 300SL debuted at the New York Auto Show in the spring of 1954! Some engines are capable of delivering way, way more performance than what their makers usually ask of them. 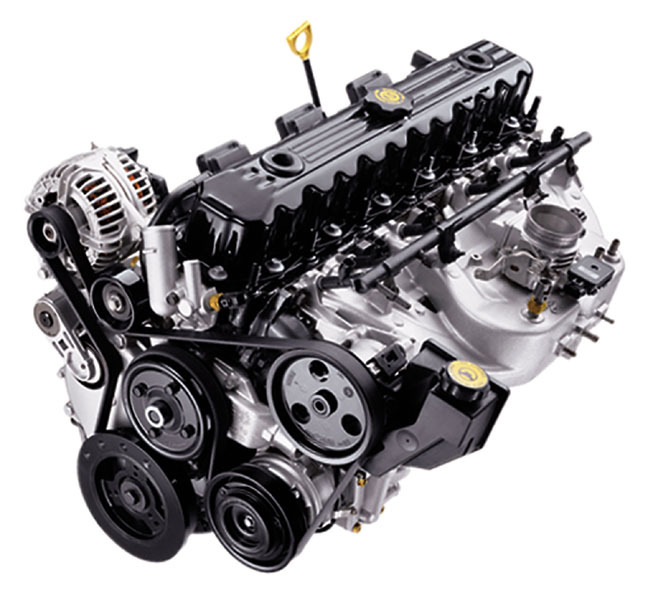 The Chevrolet Small Block V8 (and the Gen II, III, IV and V reboots that followed) certainly fits that description, and so does the Toyota JZ-series inline-six. 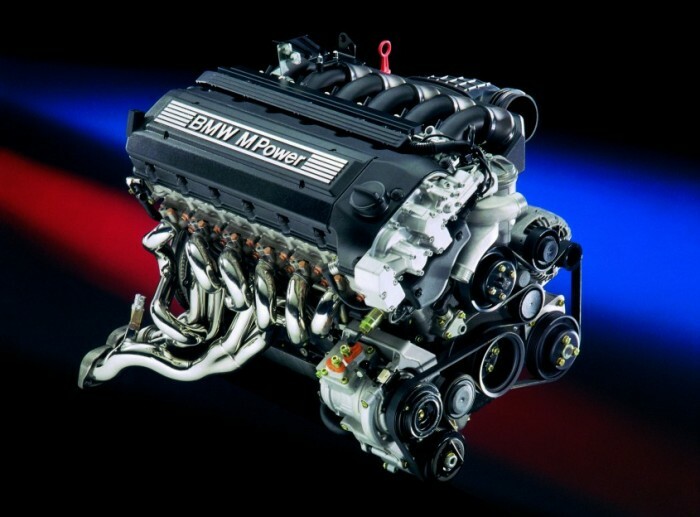 Available from the factory in two displacements (the 2.5L 1JZ and the 3.0L 2JZ), this family of DOHC 24-valve powerhouses propelled everything from JDM executive sedans to the mighty fourth-gen Supra, which made use of the sequentially-turbocharged 2JZ-GTE in top-dawg Twin Turbo/RZ trim. However, the import tuner culture that exploded just after the turn of the century transformed the JZ from just another Japanese supercar engine into a sort of deity among the Fast and Furious early adopter crowd. Dyno readings within a flea fart of four-figures on stock bottom ends soon became routine, while the aftermarket on both sides of the Pacific tooled up trinkets like ultra-strength connecting rods and stroker cranks to allow for the synthesis of even sillier horsepower and torque sums. Us? We’d be perfectly satisfied with a lightly-boosted single-turbo-converted 2JZ-GTE (in a Lexus IS300 Sportcross, natch). For its entire existence, Kenosha, Wisconsin based American Motors was the proverbial minnow in the Detroit Big Three’s shark tank. But AMC was one baitfish that had a quite effective defense up its sleeve: Its inline-six engine. First offered in 1964 as a replacement for the 196 cubic-inch (3.2L) six that was introduced by Nash as a flathead way back in 1941 and converted to OHV two years after the 1954 merger with Hudson, the “new” AMC Straight-6 was produced in displacements as small as 199 cubic-inches (3.3L) and as big as 282 cubic-inches (4.6L), depending on the year, application and market. As the story of the S20 suggested, Nissan knew how to make a sprightly straight-six. But the arrival of electronic engine management and other advances would truly take it to another level, beginning with the 1985 arrival of the RB-series. Over the course of its 20-year production run, the RB was made in a dizzying array of configurations (SOHC and DOHC, naturally-aspirated and turbocharged, and displacements ranging from 2.0L to 3.0L) and installed in an equally dizzying array of vehicles (from Patrol SUVs and Cefiro sedans to a special JDM version of the Z31-chassis Z Car and – surprisingly – the VL-chassis Holden Commodore, which made use of atmo and turbo versions of the single-cam 3.0L RB30 to meet tighter Australian emissions regulations). Of course, odds are the only version you really care about is the 2.6L twin-turbo RB26DETT that vaulted the R32, R33 and R34 Skyline GT-R (and the Stagea Autech 260RS super station wagon) to legend status. For much of its history, boutique British sports car manufacturer TVR relied on Ford and Rover engines for powering its products. But in 1996, the company introduced its own in-house family of V8s, the Speed Eight, designed by Al Melling. 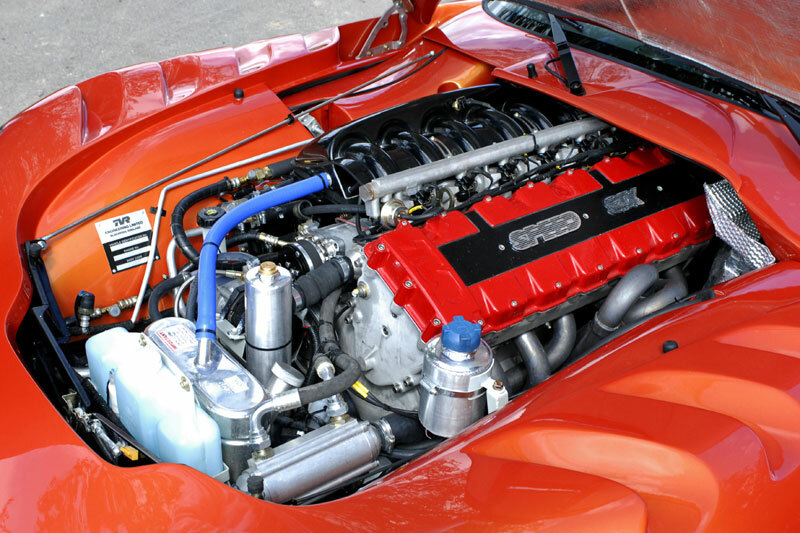 Three years later, Melling and TVR introduced the Speed Six, a dry-sump oiled 24-valve DOHC inline-six displacing 3.6L or 4.0L, depending on the application. And there were plenty of applications, from the gorgeous Cerbera 2+2 coupe to the psychotic Sagaris. Yes, being a tiny independent company meant TVR didn’t have the resources to work out all of the Speed Six’s bugs straight away, most notably the valvetrain (though later examples of the engine proved more durable thanks to more robust parts). But with up to 405 naturally-aspirated horsepower and exhaust music to die for, we’re willing to excuse that. Such a shame that the motor went away along with the company in 2006. Chrysler Corporation’s family of flathead inline-sixes served the company well, but by 1959, the automotive world had well and truly moved on. GM, Ford and even little AMC had been building better-breathing overhead-valve inliners for years. 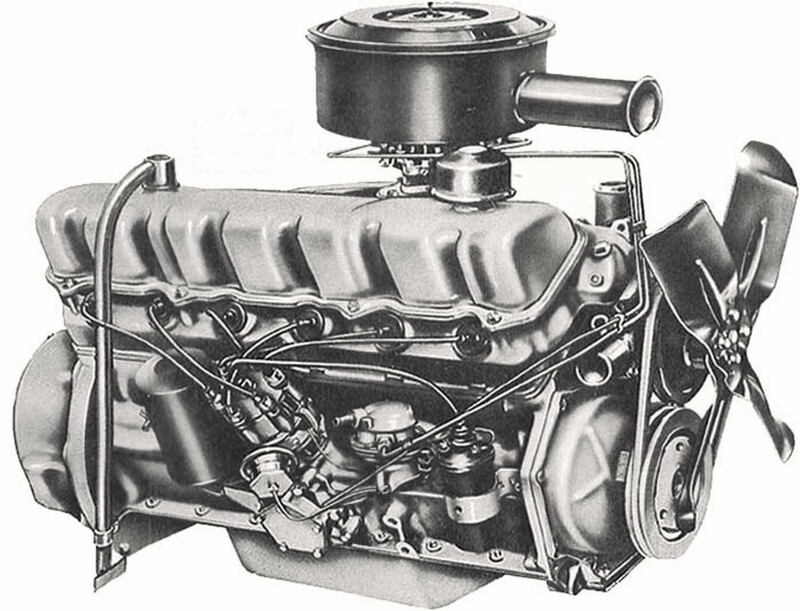 So for the 1960 model year, the Pentastar posse went all-in on pushrod power with the engine family that soon earned the nickname “Leaning Tower of Power,” the Slant-Six (known internally as the G-series). Those not-quite-vertical descriptors stem from the cylinders’ 30° tilt to the right when viewed from the flywheel (rear) end. The lopsided design allowed for not only lower hoodlines, but also the placement of the water pump on the side of the block rather than the front, which shortened the engine’s overall length. But it was the robustness of the engine that created much of the legend, and a lot of that owed to the fact that the tall-deck RG block was cast in both iron and, for a brief period of about one calendar year, aluminum. It was the 225 cubic-inch (3.7L) Slant-Six that was the only one to be hewn from both metals (A short-deck 170 cubic-inch and a 198 cubic-inch version were also offered. ), and the one that would survive the longest, making its final U.S. appearance in 1987 Dodge Ram pickups and vans (though factory replacement 225s continued to be made in Mexico right up to the turn of the century).